Here it is! The recipe that I promised that I would give you guys! The reason that it has been so long is that I had to recreate this recipe. 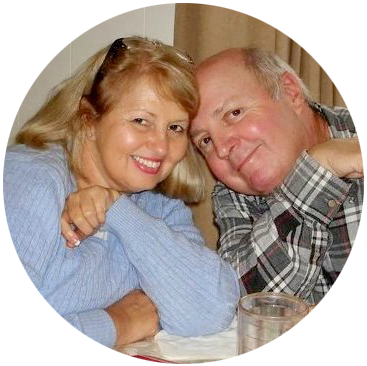 You see, when I looked back at the photos of the golf benefit, I realized that I had not taken a single photo of this appetizer! And this was the one that received the most compliments. Look at all that deliciousness oozing out! 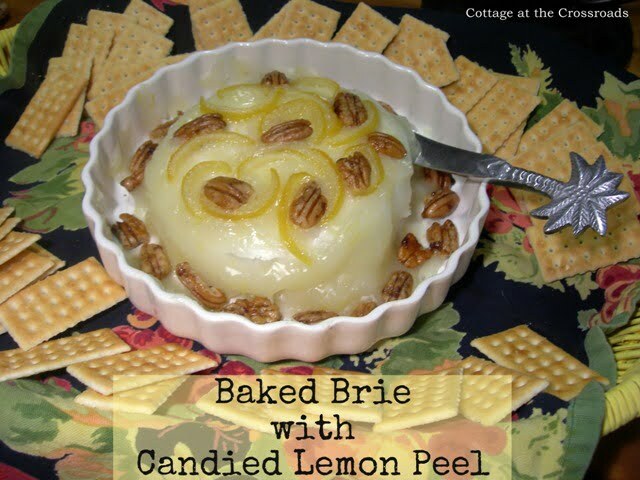 If you like brie, and you like lemons, you are going to love this! And the best part is that you can make it all a day or two ahead and quickly put it together in about 15 minutes before your guests arrive! 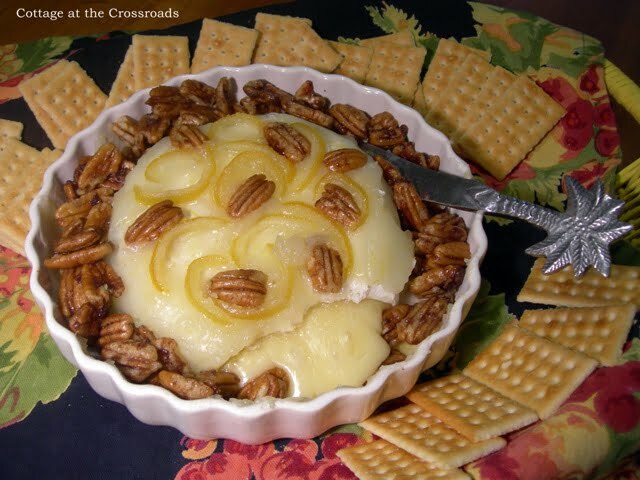 So this is my recipe for baked brie with lemon sauce, candied lemon peel, and brown sugar pecans. To make this recipe, you will need to do several things in advance. 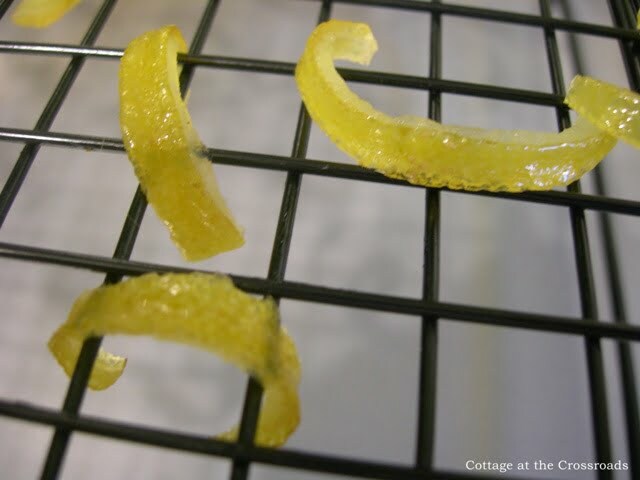 The first thing that you need to do is to make your candied lemon peel. 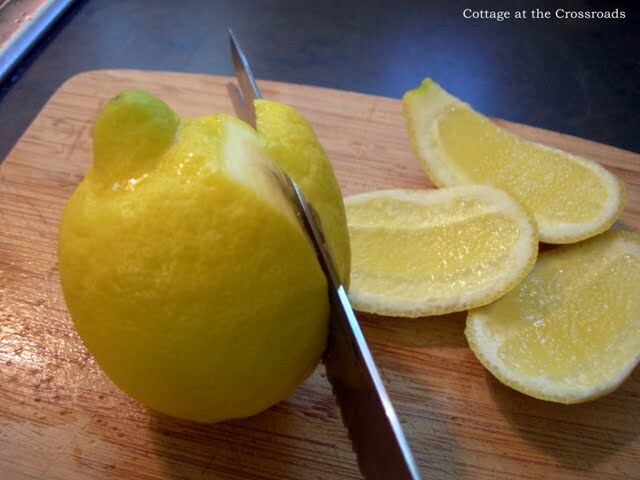 Remove the peel from 2 lemons. I used a sharp knife and cut it off this way. Next, cut the rinds into thin strips. Remove some of the pith (the white part) with a paring knife, but leave a small amount of pith so that you slices won’t be too thin. Save the rest of the lemons to use for making the lemon sauce. Next, bring 2 cups of water to a boil in a saucepan. Add all of the lemon peel and blanch for 5 minutes. This softens the peel and reduces the bitterness. Drain and reserve. Repeat this process two more times using fresh water each time. In the same saucepan, add 1 cup of fresh water and 1 1/2 cups sugar. Stir to dissolve the sugar, add the lemon slices, and bring to a boil. Simmer for one hour and then cool for about 15 minutes. 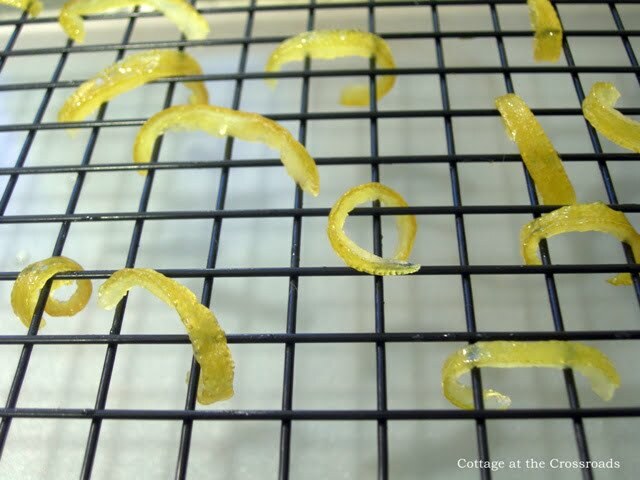 Lay the lemon peel on a cooling rack with a baking pan underneath and let them dry overnight. They will not totally dry out but they will firm up after 24 hours. The next day, add 2 tablespoons sugar to a baggie. 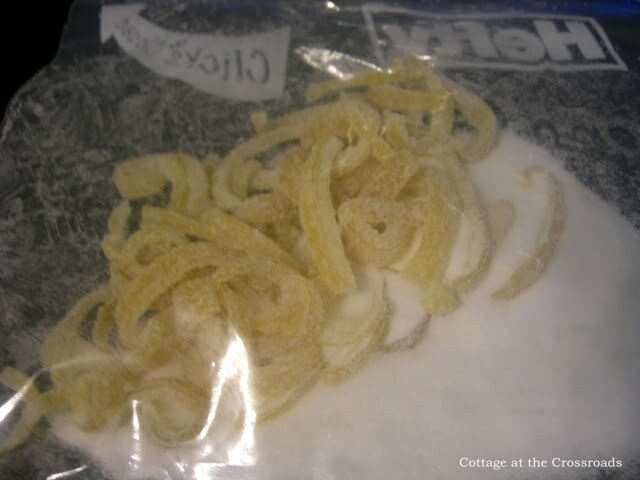 Put a few lemon peels into the baggie and shake until they are coated with sugar. Keep adding the peels and shaking until they are all coated with sugar. 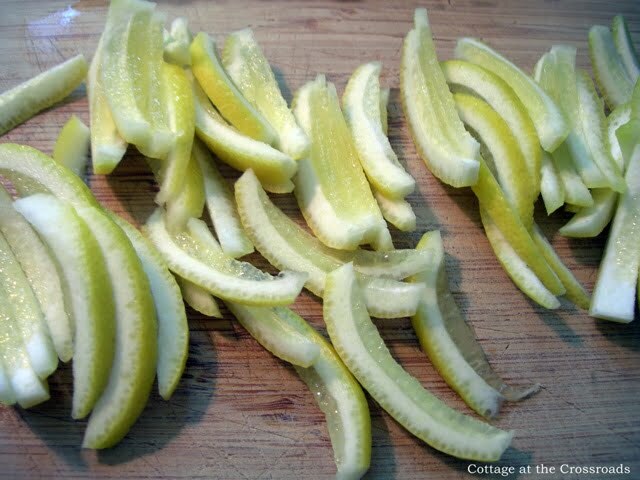 Remove the peels and store in an airtight container until you are ready to use them. 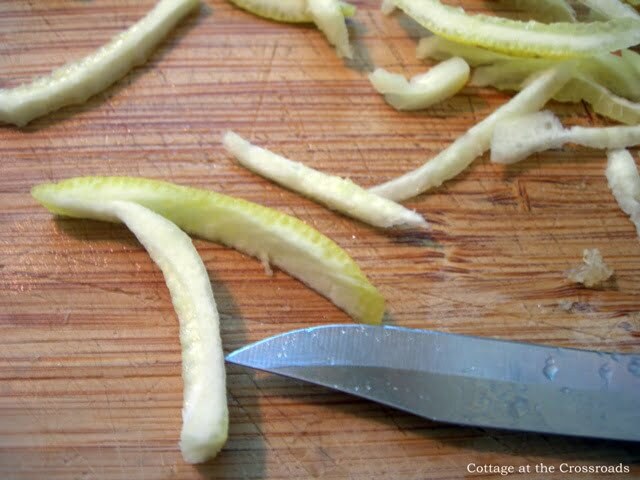 Squeeze the lemons you had left over from making the candied lemon peel. You will need 1/4 cup. 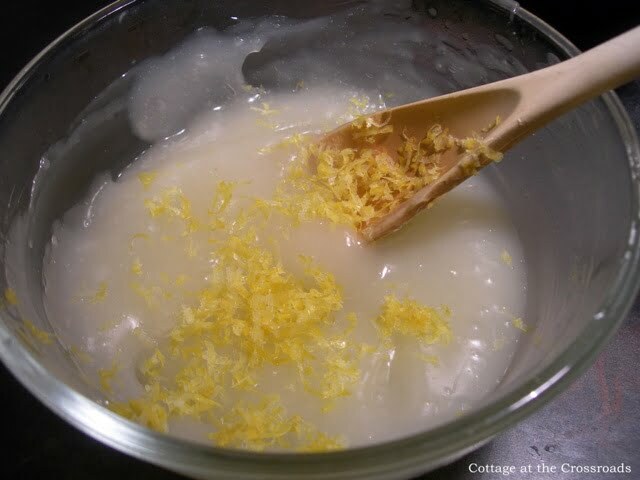 To make the lemon sauce, mix 3 tablespoons cornstarch, 1/2 cup sugar, and 1/4 cup water in a saucepan. Bring to a boil and whisk constantly. 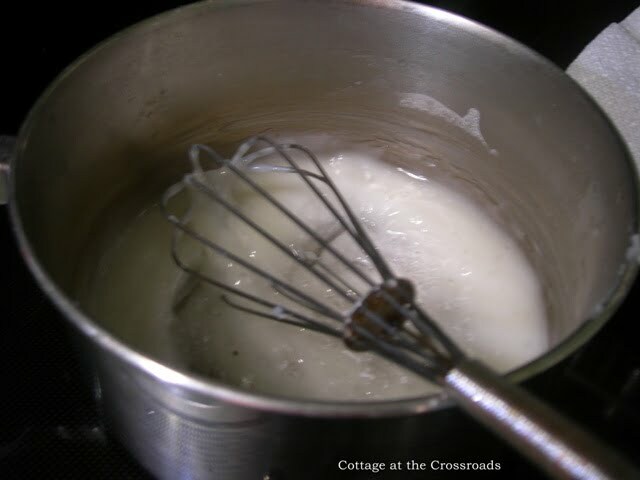 When thick, reduce heat to low and whisk another minute. 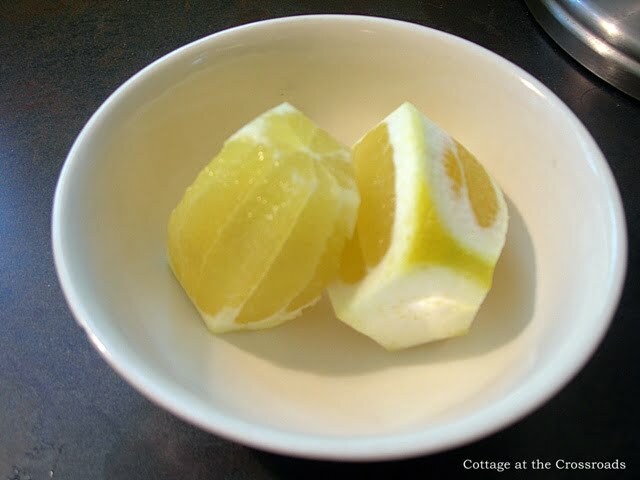 Remove from the heat, place in a glass bowl, and 1/4 cup fresh lemon juice, and 2 teaspoons of lemon zest. 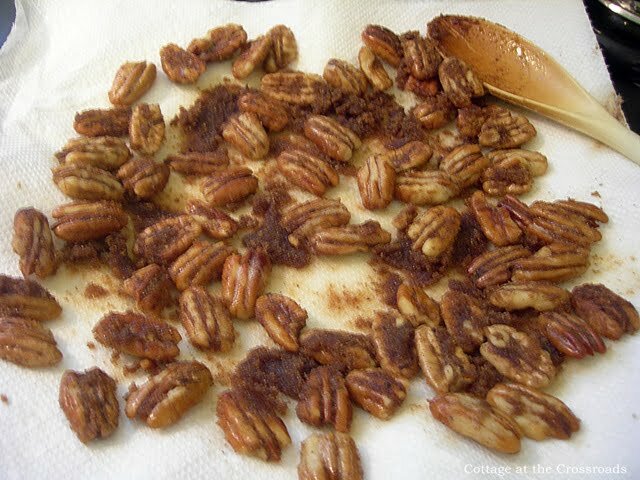 The next step is to make some Brown Sugar Pecans. 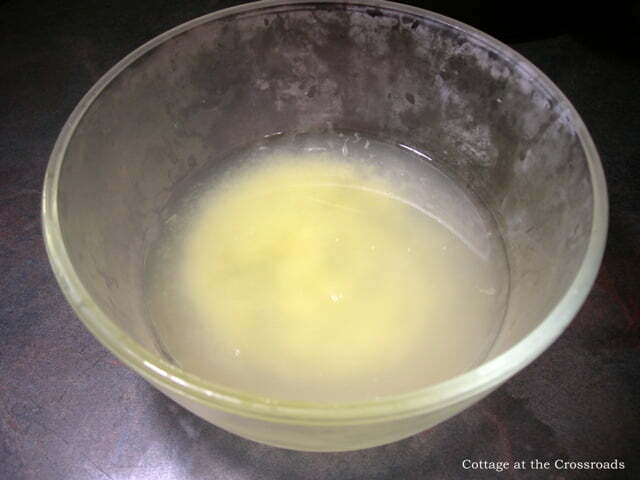 Melt 2 tablespoons butter in a skillet over medium heat. 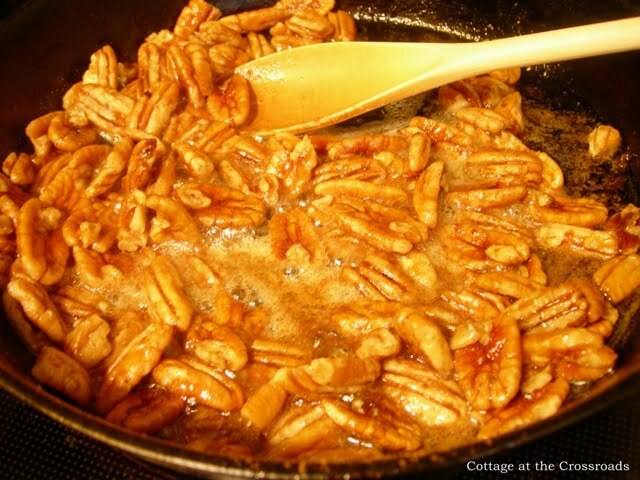 Add about 1/2 pound of pecan halves to the skillet and stir to coat the pecans with the butter. Cook over medium heat for about 10 minutes. Be careful not to let the pecans burn! Add 2 tablespoons brown sugar and 2 teaspoons cinnamon to the mixture and cook a few more minutes. 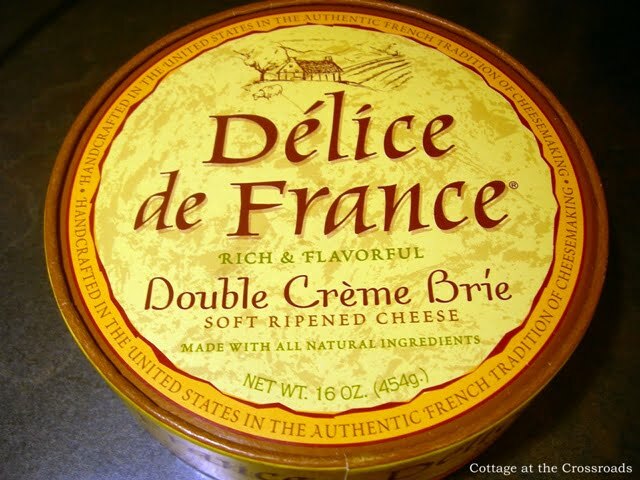 When you are ready to serve, take out your wheel of brie and preheat the oven to 350 degrees. 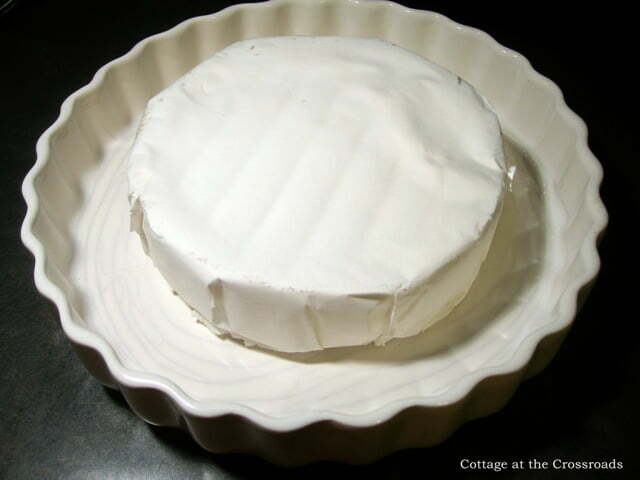 Place the brie into an ovenproof dish. You do not need to remove the rind of the cheese. Bake the cheese for about 10-12 minutes until the center is soft. Remove from the oven and immediately pour the lemon sauce over the warm brie. 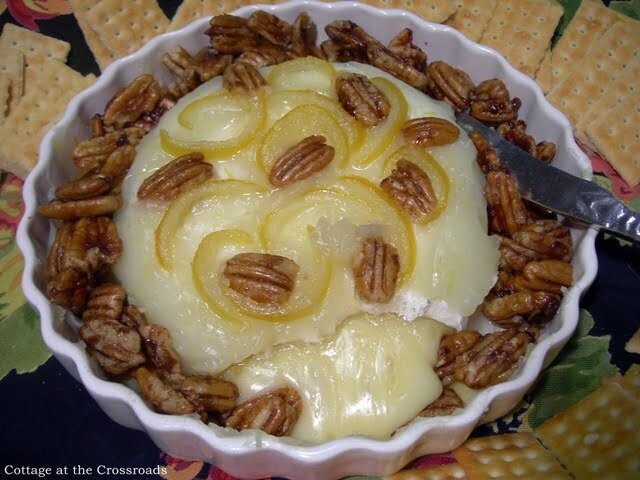 Add your candied lemon and brown sugar pecans. Serve with crackers or slices of French baguettes. C’est la vie! Ooh La La! Oh dear! Forgot to wish you a Happy Mother’s Day! I love lemon AND brie so this sounds marvelous. I’m going to have to go check out your other recipes. And congrats on the barbecue picture in the magazine. I just love it! Your gardens are amazing. Be sure to tell Leo I followed his tomato planting tips this year. This looks beautiful and I bet it is delicious! !